Submitted photo Three City of Logan festival queens will take the stage in Charleston this weekend to compete for the title of Miss West Virginia Association of Fairs and Festivals. Pictured, from left, Haley Mullins, Carlee Miller and Hannah White. Three Logan girls will travel to Charleston this weekend to compete for the title of Miss West Virginia Association of Fairs and Festivals - Hannah White, Haley Mullins and Carlee Miller. This will be the 15th year that the WV Freedom Festival has sent a queen to the stage and, for the first time, the City of Logan is sending three representatives, one for each festival - the Freedom Festival, the Hocus Pocus Festival and the Christmas Festival. January kicks off the festival planning year for the city. Mayor Serafino Nolletti, City Clerk Amber Miller, Fire Chief Scott Beckett, firefighter Stevie Trent and Queen Director Anna Butcher attend the West Virginia Association of Fairs and Festivals convention each year to plan entertainment, ground acts and attend workshops to organize and enhance the city festivals. Miller has been invited to lead a workshop on fundraising during this year's convention. This is the first year the WVAFF pageant is having a "People's Choice" award, where the public can cast votes for $1 and the contestant with the most votes will secure a spot in the Top 16. To find out how to vote, visit the City of Logan's Facebook page. 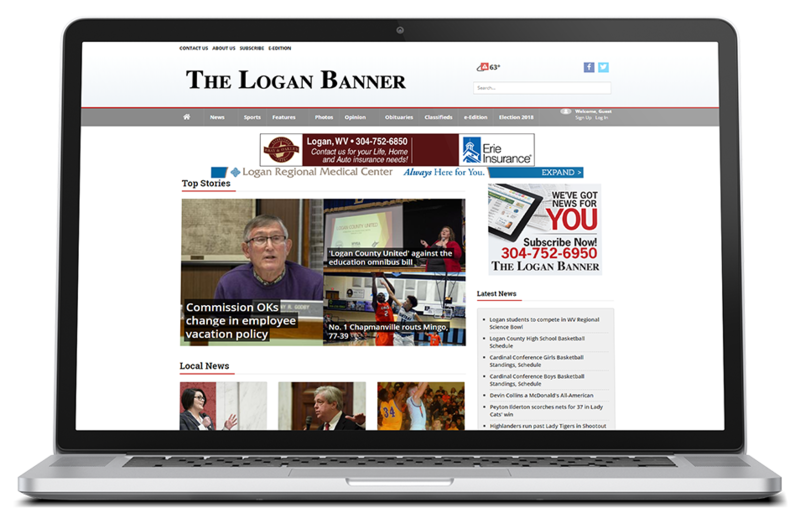 "I am encouraging everyone in Logan to please go to the link and vote for our festival queens," Miller said. Tuesday's city council meeting honored the queens with gifts and roses for the contestants and their mothers. Part of the pageant includes an event promotion, and the queens performed a commercial about their festivals for the meeting. Each queen represents the city during all events, not just during the festival. The queens are selected by council based on an application process that includes grades, community involvement, extracurricular activities and teacher recommendations. Hannah White, Haley Mullins and Carlee Miller will represent the city at Charleston's convention this weekend. White, who was chosen at Miss WV Freedom Festival in 2017, is the 16-year-old daughter of Tony and Julie White of Holden. She attends Logan High School, where she is enrolled in honors/AP classes and maintains a GPA of 4.4. In addition, she is on the school's cheerleading team, Beta Club and Fellowship of Christian Athletes. Mullins will represent the City of Logan, the Pumpkin House and the Hocus Pocus Festival in the competition. She is the daughter of Tommy and Tonya Mullins of Whitman and is a student at Southern West Virginia Community and Technical College, where she is majoring in political science and plans to finish her education at Marshall University and then later the Appalachian School of Law in Grundy, Virginia. She has represented the city for four years and has held the titles of Teen Miss WV Freedom Festival, Miss Woods and Water Festival, Miss WV Freedom Festival and her current title of Miss Hocus Pocus Festival. Miller served as Teen Miss Woods and Water 2017 and City of Logan Miss Christmas Festival in 2018. She is the daughter of Tim and Dena Miller of Chauncey and is a student at Logan High School, where she is a member of the National Honor Society, the National Beta Club and the cheerleading team. She hopes to become a pediatric dentist.